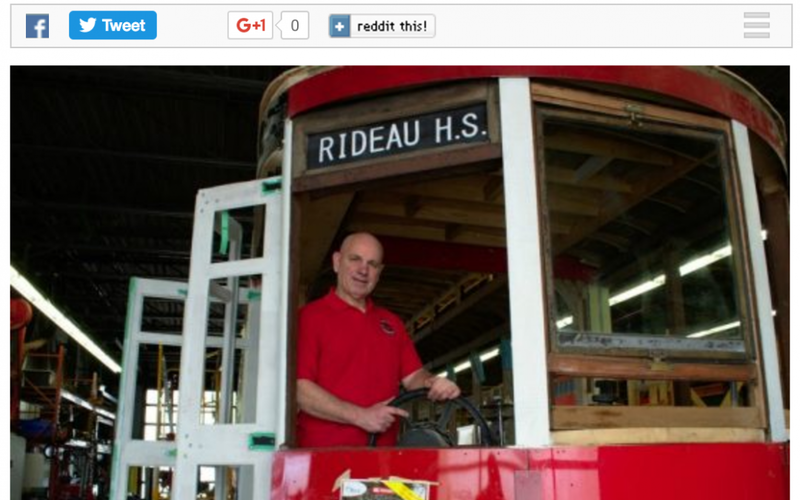 Ottawa’s Metro News details the work involved in the restoration of Ottawa’s Streetcar 696. The streetcar was retired in 1958 and left to rot under a museum’s outdoor tarp for three decades. The project has been a labour of love for shop supervisor Rhéaume Laplante and a team of dedicated volunteers. The goal is to have the streetcar unveiled and in operation for Canada’s 150th birthday celebration in Ottawa on July 1, 2017. Laplante said the project costs about $500,000, most of which has been covered through corporate donations. For example, the floorboard is made of wood reclaimed from the bottom of the Ottawa River, donated by Logs End.